You hear that term all over Facebook and have no idea what that is or how to use that for your new blog. I know when I first started blogging, email marketing tips did not come into my vocabulary AT. ALL. I learned over time what this is and how to optimize my strategy to increase my email list. 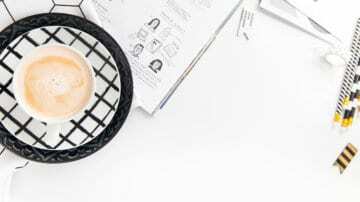 If you’re new to blogging – check this out if you haven’t started a blog yet – and email, I thought I could help you find some top bloggers that blog in the email marketing niche. But, first, let’s talk a little bit about email marketing. 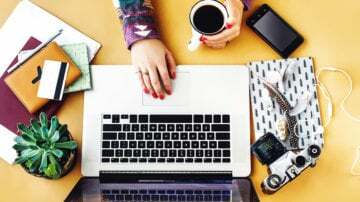 What is Email Marketing for Bloggers? Email marketing is the act of starting an email list with the intention of monetizing it later. You start the relationship by offering an incentive for people to sign up to your list. From there, you nurture your email list to gain trust, authority in your niche and a relationship that can help grow your income. There’s a saying going around that, the money is in the list. This refers to the value an email list has for a blogger. Typically – but not always – the more subscribers you have on your list, the higher income you can generate from them. Many people that start a blog have the intention of making money from blogging. To do this effectively, you need an email list. But, how do you start an email list? The first step is finding the right email service provider. MailChimp integrates with practically everything! If you are interested in starting your first email list, check out my guide on using ConvertKit to start an email list. Okay. Let’s get to the top four expert email marketing bloggers. Meera Kothand was the first blog I read about email marketing for bloggers. I was blown away by her content and joked that I had probably 7 tabs open on my browser with her blog posts for weeks (which is really true!). 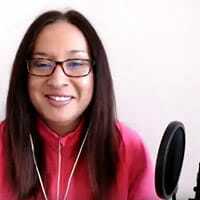 While she has branched out to help solopreneurs with content marketing, I love her advice on nurturing your email list and developing a solid relationship with your subscribers. I created my welcome series after reading her post on it. Kasey Luck is the blogger behind Bold & Zesty. 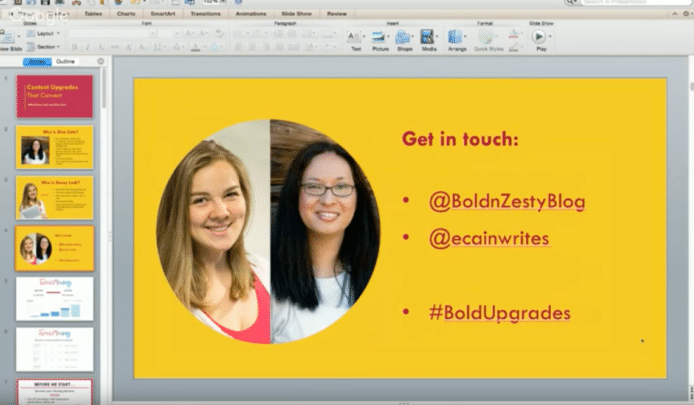 I learned about her and her blog when she reached out to me to do a webinar about content upgrades (if you subscribe to my list, you’ll get access to this webinar in my Mom Boss Vault). I was shocked since I just started Twins Mommy and someone was reaching out to ME. While her blog’s audience is more for marketers and small business owners, you can glean some great info to help with your email marketing strategy for bloggers – like how to increase email click-through rates. I love reading her posts too because she injects her fun personality! It’s not 98′ anymore. No one’s firing up AOL. Praying to hear those iconic words “YOU GOT MAIL.” The AOL voice must have laryngitis because the average adult gets over 147 emails A DAY! That’s a lot of people fighting for your subscriber’s eyeballs. You can spend hours on her blog, and I’m doing that right now!!!! Jenny Miranda’s blog is filled with incredible information about email marketing. 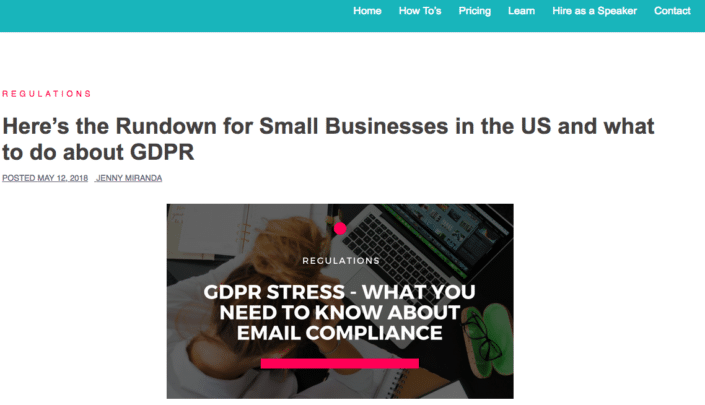 The recent GDPR has gotten bloggers hiding under a rock, but not Jenny! She tackles it head on and helps you understand the terms to be compliant. Make sure to check out her blog! Wow! I love these bloggers and their blogs. I hope you take the time to view their blog and content and follow them on social media! If you are stuck growing your email list, let’s talk about how to optimize your freebie. Your freebie is the incentive you offer to your audience, but for many bloggers, they make the incentive, and NO ONE signs up!! Why? Let’s dive into each of these reasons. I know this is hard to hear, but bloggers are shown incentives all the time on Facebook, Twitter, Instagram, and Pinterest. Many guard their email address and don’t want to be added to another list. So, your free checklist may not be valuable enough. To fix that you need to hone into a top problem or worry (I’ll go into that more in the next point) and package that into your checklist. The best example is Caitlin Bacher. She uses checklists to grow her email list and funnel them into her course. 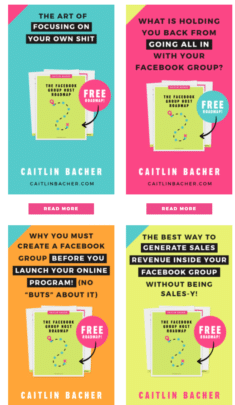 This roadmap is seven steps to set up a successful Facebook group. 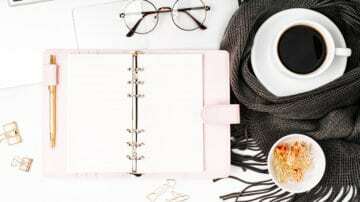 This is valuable because if you want to start a Facebook group or you have one already, getting this roadmap is useful to you. And do you see what she’s doing also? She’s only promoting that ONE main freebie all over her blog and blog posts (and even in her Facebook group). So if you want to follow Caitlin, this is the ONLY way to get onto her email list, and for her, that’s effective in growing her list. But, her incentive is truly valuable, and she’s built a million dollar business on her one freebie and one course. So think about that mamas (I know I am!). I touched a little bit on how your freebie needs to solve a problem for your audience. To increase conversions, try to create a freebie to solve an IMMEDIATE problem. For example, my Pin Promote Planner solves a problem for many bloggers – how Pinterest traffic is tanking for them. Bloggers want more traffic, and Pinterest is the car to get you there! 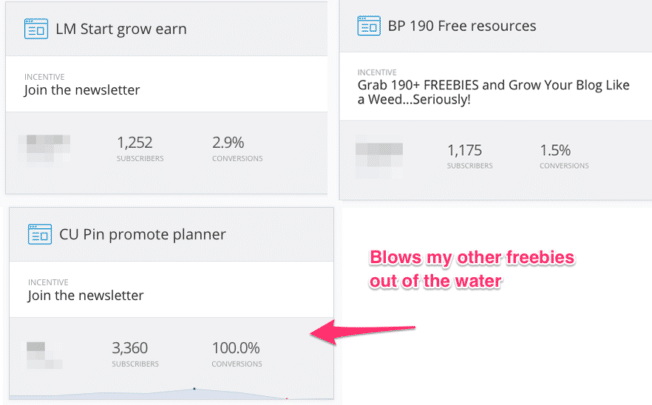 And, when I launched my Pin Promote Planner, it blew my other main freebies out of the water regarding sign-ups. So, how do you figure out what an immediate problem is for your audience? You have to create more than one freebie to see which one will stick. Caitlin Bacher had other freebies before this roadmap, but she found the one that stuck, and she’s sticking to it. Twins Mommy’s brand encompasses these topics. This one I learned from Kasey of Bold & Zesty. Kasey likes to package her freebies as a fat bonus. This means bundling up different things to create one massively useful and highly valuable freebie. I haven’t done this, but have created a resource library, which is similar. For me, the best example is Allison of Wonderlass. She has amazing freebies and bundles. 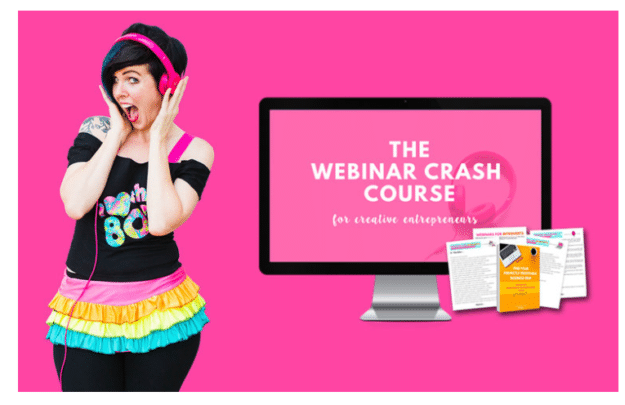 For example, she has a webinar + workbooks and guides when you sign up for this freebie. Not too shabby! It’s Time to Increase Your List! 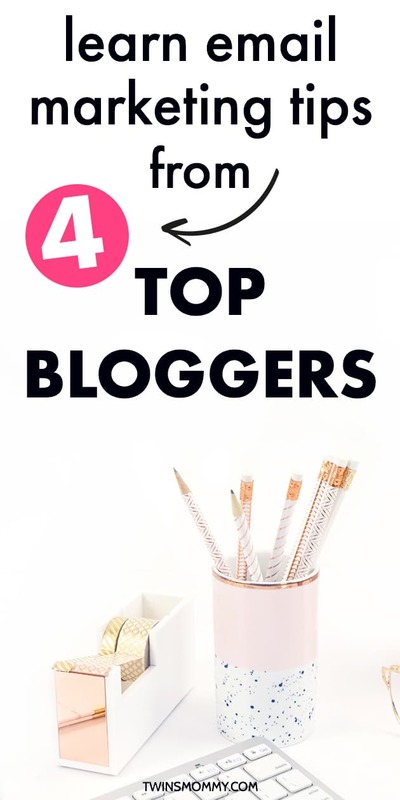 Start growing your list by checking out the amazing posts from these top four bloggers and make some amazing freebies for your audience! Comment below and tell me what you plan to do about your email list! Do you want to start one or create a new freebie? Thanks for sharing Email marketing article. I really need this article. Glad you found some good email marketing tips! Thanks for much for including me Elna. No, thank you!! Love your blog and style! Perfect timing! I know I need to focus on my email list but the thought of it is really stressing me out! Since I’m a beginner blogger, I’m experimenting with a bunch of different opt ins. And it’s so interesting to see what’s working and what’s less popular. Trial and error, right? I LOVE all the amazing ladies you mentioned – seriously love Kate Doster especially. Her writing is so fun! Thanks so much! Yes, experimenting is what all bloggers need to do to be successful! No one gets it right the first time you know! Yes, Kate is a great writer like you!!! !